Drafting is often an “evil” word in the world of triathlon, but within the rules of drafting there are ways to draft legally that will help you. Ben and Kerry will be sharing with you what you need to know to so you can ethically and legally race as fast as you can without getting a penalty. To ask your questions enter them in the box below. “Where To Line Up Before The Swim” Workshop Now Available for Download! 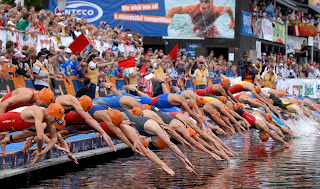 Knowing where to start at the beginning of a triathlon can be a tricky thing. Do you line up to the far side, right in the middle, or at the back? There is a time and place for all these strategies. Ben & Kerry will discussing how you can set yourself up for success when the race gun goes off by placing yourself at the ideal spot at the swim start line. Off Season Q&A Replay Now Live! Kerry and Newest Rock Star Triathlete coach Bradley Haag Will be talk about of season training in this podcast. This time of year is often the “off season” for many triathletes and leaves many confused on what to do training wise. Listen to hear how you can take the off season by the horns and be ready to rock come your first race of the year. To ask your questions now or access the playback of the call, just keep reading. Ben & Kerry’s “Top 10 Things We Have Learned About Triathlon in 2013” – Now Available For Download! In this Rock Star member’s only workshop, Ben & Kerry share with you the top 10 things they have learned in 2013 so far – in both coaching athletes and in their own racing. 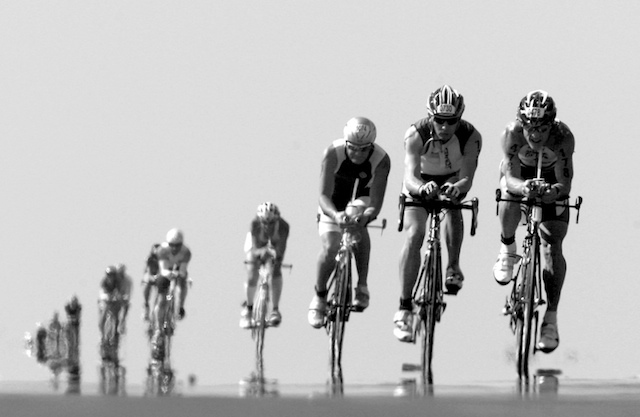 Triathlon training, nutrition and racing is constantly evolving. Ben & Kerry are on top of the evolution of the sport and will share the latest and greatest with you. Duane Dobko has 17 years of competitive swimming experience. He was the former school record holder for the University of Minnesota in the 100 yard backstroke and was a Canadian National champion in the 50 meter backstroke in 1994. Duane was a 2003 Hawaii Ironman qualifier, finishing 26th in 2002 at Ironman Wisconsin, with the 3rd fastest overall swim split (49:03). Duane is currentlyswim coaching professional triathlete David Thompson, and competes for the Gear West Elite team out of Minnesota. Duane has competed and set records in several Minnesota Masters Swimming meets. Duane recently competed at the2008 USMS Short Course National Championships in Austin Texas where he beat a national record in the 200 Yard Backstroke with a time of 1:49.93. There is a lot of talk within the strength and conditioning world about training the “core” of the body. Many triathletes question if they really do need to train the core and question if it is even important. In this live workshop, Ben & Kerry will be sharing with you all you need to know about the core and how to train it specifically for triathlon performance. To listen now, just keep reading. This Monday, January 13th at 6:00pm Pacific/ 9:00pm Eastern Time Coach Kerry and Newest Rock Star Triathlete Coach Brad will discuss the base phase of training and will answer any question you have in a live tele-seminar. Base training isn’t just a time to put in endless hours of training. During this phase you should focus on skills & drills, addressing limiters, muscle adaptation, and building your aerobic engine. A huge part of triathlon is having your head in the game. Its not just on race day that you need to have your head in the game. It’s every day &amp – every training session. Being mentally focused in the right direction day after day creates magic. In this workshop, you get all the mental ninja tactics you need to rock. Keep reading to download now or listen later. Many dont realize that you actually have a different race license when you are a pro. And some know this, but don’t quite understand how you can potentially get a pro license. In this workshop Ben & Kerry will teaching you how to get your pro card. If you want to go pro then this is a workshop that you should definitely tune in for. Keep reading to listen now or download for later!